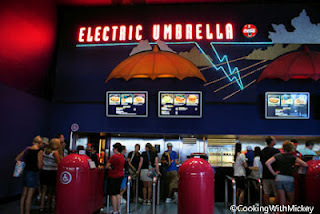 The Electric Umbrella located in front of Innoventions East has plenty of indoor and outdoor seating. Grab a table outside and enjoy the Fountain of Nations. 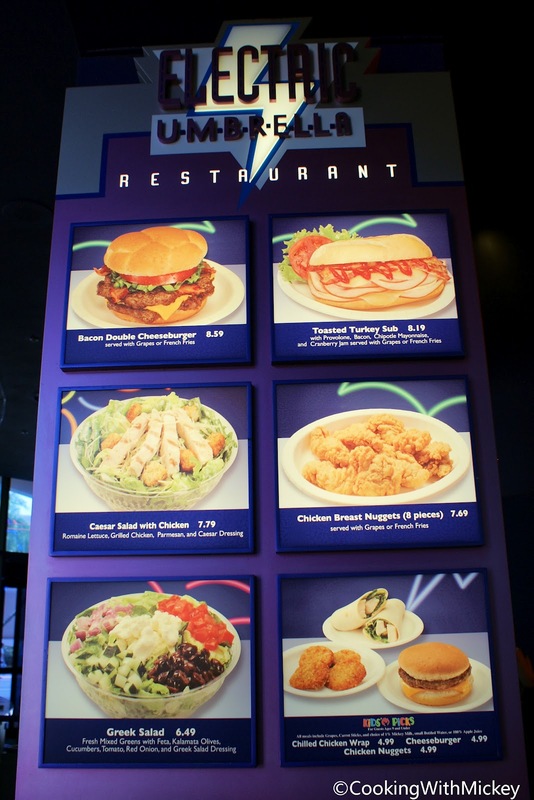 Menu Items: Bacon double cheeseburger, toasted turkey sub, Caesar salad with chicken, chicken breast nuggets, and Greek salad.